HWMAR is very excited that you’re interested in making the commitment to become a foster. There are thousands of dogs out there looking for homes. Unfortunately, we can only save dogs when we know that we have a place for them to stay while we work hard to find them a forever home. Your commitment to fostering one animal will usually range from 10 days to 3 months but will have a lasting impact on that animal, and you, for years to come. If you’re ready to make the commitment then complete the Foster Application and our Foster Coordinator will be in touch shortly to do a phone interview and give you more information about us and our process. If you’re on the fence but are seriously considering fostering, I’d urge you to fill out the Foster Application and then we can discuss your concerns and dig deeper into the type of animal you’d be willing to save and much more. How long will I foster the animal? We require fosters to commit to the animal they have until the animal is adopted into their forever home. That can be as little as 10 days or as long as several months. 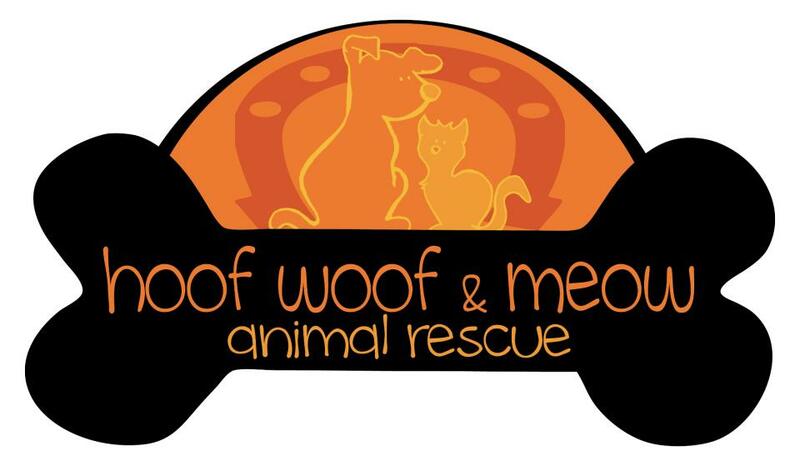 Hoof Woof and Meow Animal Rescue will cover all approved vetting expenses for the animal. The foster supplies the food and the love! 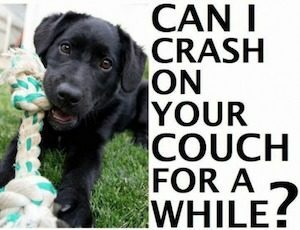 We do, on occasion, get donations of food, collars, leashes, and toys. When we receive these items, they will be distributed to foster homes. Will the animal be healthy when I get it? We do require that ALL animals new to HWMAR be quarantined for 10 days from the other pets in the house to assure that they are healthy before meeting. We have a medical director who can assist you with medical questions should they arise. All fosters will be vaccinated (appropriate for their age), spayed/neutered, dewormed, and micro chipped. We get some, if not all of this done prior to the animal arriving. What if my foster has behavioral issues? We work with a professional trainer regularly who will assist you in ‘trouble shooting’ behavioral issues or training techniques for your dog such as house breaking, chewing, jumping, or dogs not getting along. Our foster coordinator is always available by phone or text as well. Will I have a say in who adopts my foster? Yes and no. We do encourage fosters to give us their opinions after meeting potential adopters. Since the animal lives with you, you will know them best so your input is very important. We do however, have a process and we will choose the family that is best for the animal. If you have friends or family members that are interested in adopting, they must go through the process and be approved first. Yes, as the foster, you have first choice to adopt the animal. We do ask that if you decide you want to adopt, to please let us know as soon as you feel this is the right choice for you and the animal. If someone expresses interest in adopting your foster animal, you will need to make the choice then so we can assist them in looking at other available dogs or cats.